experience to getting your 1950's and 1960's antique Jacobsen Chief tractor, classic AMF Ski-Daddler, or vintage MTD Roto tiller repaired. Have your vintage tractor restored and antique outdoor equipment repaired today. Whether it's a classic 1950's lawnmower or the latest zero-turn Simplicity commercial mower, we know the parts you're trying to find. 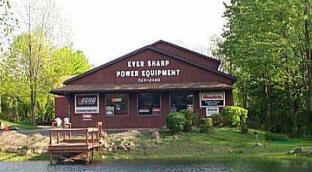 Eversharp Power Equipment has an extrodinary inventory of old lawnmower parts, antique farm equipment parts, and vintage power equipment parts. Many of these parts haven't been manufactured for decades. We supply new tractor replacement parts, in addition to lawn tractor parts, chainsaw parts and chains, snowblower parts, and weedeater replacement parts. We stock a full inventory of replacement weed trimmer parts, weed trimmer line and replacement trimmer spools, and other weedeater accessories. We sell brand new blowers, used blowers, blower repair parts as well as brand new snowblowers, used snowblowers, and snowblower replacement parts. EverSharp carries vintage tractor parts, old snowblower part sand antique rototiller parts dating back to the late 1950's and early 1960's. In addition, we recently purchased 90% of Corll's Tractor Parts' inventory, which included those hard to find, 1950's and 1960's Jacobsen tractor parts and AMF parts. For over 50 years, EverSharp Power Equipment has supplied your business with commercial lawncare equipment, bringing you the best brands in the business to get the job done right. In addition, we stock a full range of power equipment tools and power equipment parts to tackle all residental lawn & garden needs. customers access to a fully stocked inventory of replacement small engine parts and power equipment accessories. Eversharp sells the latest, commercial zero-turn Simplicity lawn tractors and a full-line of Echo weedeaters, Echo Chainsaws, Echo blowers.in addition to Echo replacement parts and Echo acessories. On a budget? NO PROBLEM! 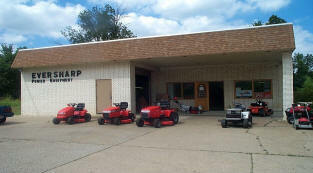 We also have cheap used lawnmowers and used power equipment to meet your needs and your budget! We stock replacement lawnmower blades, Gates and Goodyear belts, lawn tractor wheels, lawn clipping bags, and leaf bags to fit most makes and models. EverSharp even has replacement reel mower tires and reel mower wood rollers. Let us keep your equipment running at 110%. Give us a call to see if we have what you are looking for.